» FFVI: Sabin Mocks Terra? 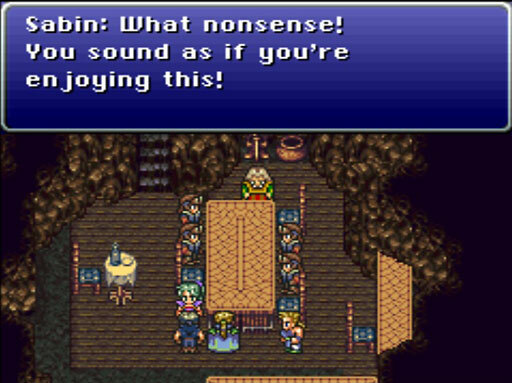 Sabin, you twit. It’s the first time she’s made a choice in her entire life, and you give her heck for it.